I have a desk calender with GoF scenes for each day, and it has a scene of Harry by a waterfall, after the graveyard scene, in which he is probably trying to deal with Cedric's death and everything else that happened. That's what it looks like, but this scene wasn't in the movie, obviously. I would sure like to see that scene. This happened in LotR, also. I saw pictures of a scene with Frodo and Sam looking at something, but it wasn't in the movie, and I thought it would be a scene where they were watching the elves leaving middle earth. Sure enough, it was, and Peter Jackson had it in his extended edition. I wish they would have some extended HP films as well. Although I have seen the films now run on tv with the deleted scenes (the ones on the DVDs) included in their proper places in the films. Too bad commercials are also included. Great thread. I watched the scenes, and they're really interesting. Taking out stuff like this seems to disrupt continuity in movies- not Harry Potter specifically, but other movies I've seen. It's a shame that there's so many shots that don't make it into the movies. The waterfall picture that freyasd was talking about sounds really cool, and I wish I could see the scene. Why would they want to leave this scene out? Although when you think about it, for those that don't read Harry Potter would just think and say hmm yhh so that's wizards duel but obviously it's very important for them to understand the whole reason behind it. I have a desk calender with GoF scenes for each day, and it has a scene of Harry by a waterfall, after the graveyard scene, in which he is probably trying to deal with Cedric's death and everything else that happened. I remember a picture of that scene, I search for it, but couldn't find it, so thought it was my imagination. The trio make their way down the slope. I find it astonishing that someonewho prides herself on being so logical can be in such denial. Harry. Will you explain to your friend Ronald that he has absolutely no proof whatsoever that my sweet, unassuming cat ate his shabby, decidedly decrepit rat. Harry was there! He'll tell you how it was. Go on, Harry, tell her. No, I won't. Know why? Because I don't care about your stupid rat! I don't care about your stupid cat! I've got few other things on my mind right now! Really? Wasn't you had to roll under the bed last night to avoid getting cut to ribbons! A person could die being your friend, Harry! Ron stops, wishes he could take it back. They all wish he could. Avoiding each other's eyes, they turn, continue on. I don't know about that above Scabbers scene. It doesn't really sound like something HRH would say. And in a way I'm kind of glad they cut it. And why does movie Hermione always say 'Ronald'? It annoys me because I can't ever remember book Hermione saying that apart from the 'You complete arse Ronald Weasley' line in DH. and anyone ealse annoyed that A) they always cut the important explanation scenes and B)proceed NOT to show them on the DVD? How about c) all of the above. It was frustrating to me and I almost wonder how it will come together for people who havent read the books by the time DH comes out in theaters. My boyfriend was constantly asking me, ok so what happened to this person, or why did he do that? I felt like I should just read him the book and then let him see the adaptation. There are also some scenes from the fight at the Ministry of Magic at the end that were cut - extended scenes of the kids running from the Death Eaters and fighting. Those were confirmed to have been filmed by a guy who worked as a stand-in on the movie on the IMdB forums. There were two that stand out - an extended scene with Ron and Hermione where a Death Eater levitated Hermione up and Ron stunned the Death Eater and caught her - and an extended scene with Harry and Ginny around the spot where Ginny used Reducto to blast the shelves. In the extended version, Ginny actually had a line there and said "You're right, it's not like school" and then Harry took her hand and they ran down the aisle. Those don't appear to be in the deleted scenes on the DVD. I was hoping they would be because they sound really good. Maybe they're planning on releasing a box set extended version when all 7 movies are complete? We can hope. Last edited by lcbaseball22; September 27th, 2008 at 8:19 am. Yea, I've always wondered where scenes like this were. All Harry had from Cedric's death were some really bad nightmares(which isn't easy), but we never got to see him grieve. I think this would have fit so well in GoF. Especially after how well they did the scene in the stadium where Harry returns with Cedric's body. The emotion there was amazing, imo. So I'll bet this waterfall scene would have been touching too. Just a thought.... But with OoTP and Mark Day as editor, how many amazing deleted scenes do you think there are from that film alone? but Harry and Amos Diggery's reaction almost make me tear up everytime I watch it, and I never cry during movies, so that's quite impressive. that's all I can think, I know that there are supposed to be some more scenes from the MoM battle as well. Yates stated that the original cut was OVER 3 hrs. so Mark Day cut about 45 min. Last edited by lcbaseball22; April 17th, 2008 at 12:35 pm. But wow, 45 minutes of extras? I'll bet the MoM battle was quite impressive in Yates' mind after all. Day just killed it though. But hopefully Mark Day has learned a thing or two for HBP! Well, we do know that Kloves script included this and it was cut by Cuaron, but I don't believe we know if it was ever filmed. I'm definitely with you on this one, this is my MOST ANTICIPATED deleted scene for when the release the Extended Edition Box Set after DH! Well I blame the producers who after all seem to have the final say and I hope they have the sense to do what Peter Jackson did the the Lord of the Rings series and release an extended version box set for everyone to enjoy. It doesn't matter how long each film is when you watch in the comfort of your own home as you can always pause it so you can go to the toilet or get some food and drink if you want to. The other night I was watching a walkthrough for the final level of the GoF game on youtube (cos I really sucked at that part ) and I became really intrigued by how it ended. It showed an alternate ending basically, which included the Waterfall scene. As part of Cedric's Funeral, Dumbledore says: "With dark and difficult times comes a choice, between what is right and what is easy. 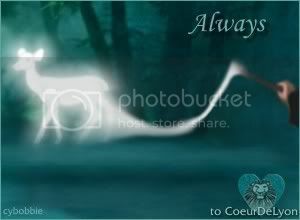 Should you ever waver, remember Cedric Diggory, a boy who was kind and brave and true". Note that the first part of this are similar lines to what is said in the scene where Dumbledore visits Harry in the dormitory, but that scene was added after the test screening, so knowing that "Dark and Difficult Times Lie Ahead" was a tag line, this might have been its original place in the film. Then it shows the "Waterfall Scene" - but no dialog, sadly. Then there is a voiceover of another line of Dumbledore's: "No matter how convincingly you tell the story of what happened tonight, few will believe Voldemort has returned. But tell the story you must." I thought this would have been a great line if they kept it, cos it would have helped develop OotP. So, what are your guy's opinion's on this?